LPR – La Palette Rouge and Contraload N.V. have reached an agreement to transfer Contraload’s rental pool of plastic 600×400 mm quarter display pallets to LPR. The pallet is manufactured by Schoeller Arca Systems, Europe’s leading manufacturer of plastic pallets and crates. On July 1st, LPR started providing the pooling service for this pallet to a pre-existing customer base of leading FMCG accounts in Belgium and Luxemburg. LPR plans to extend this service to other countries. LPR, Europe’s Number 2 pallet pooling specialist continues to extend its service offer. LPR already operates in 13 European countries through 7 subsidiaries, with a range of rental pallets that includes all the full-size and half-size pallets in common use between fast moving consumer goods (FMCG) producers and their retail customers. 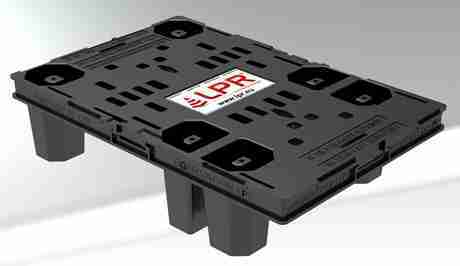 The acquisition of Contraload’s display pallet pool adds a quarter size (600×400 mm) pallet to LPR’s product portfolio. Contraload N.V. entered the 600×400 mm quarter display pallet market in 2007 with a pool pallet developed by Schoeller Arca Systems, Europe’s leading manufacturer of plastic pallets and crates. Today, more than 250,000 pallets in this format have been issued to a number of important FMCG customers in Benelux for distribution to retailers in Belgium and Luxemburg. Contraload’s core business, however, involves load carrier solutions (plastic pallets, boxes, drums, etc.) for the B2B supply chain, which involves flows between FMCG producers and their suppliers. The company decided to focus its growth strategy on this supply chain and entered into discussion with LPR for the transfer of its quarter display rental pallet pool. 600×400 mm quarter display pallet rental solution on a wider European scale.